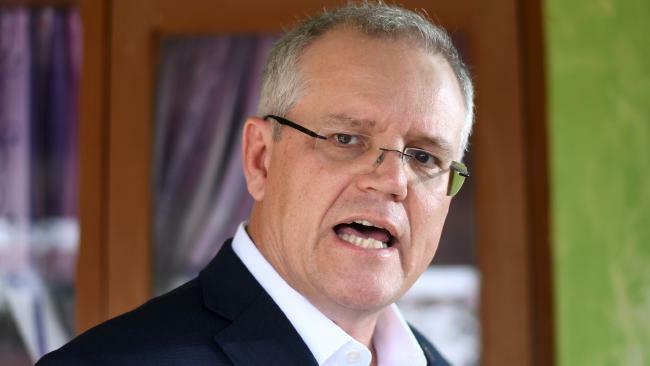 SCOTT Morrison secretly hatched a plan to overthrow Malcolm Turnbull months ago, using a hapless Peter Dutton as an "unwitting stooge", according to sensational new claims. 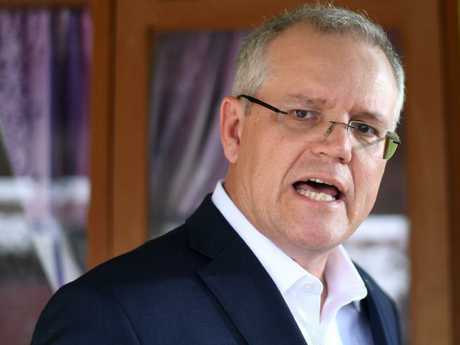 An investigation by The Saturday Paper has unmasked the new Prime Minister, also known as ScoMo, as the real villain in the assault on the Liberal Party leadership, detailing the shocking depths of his alleged betrayal. 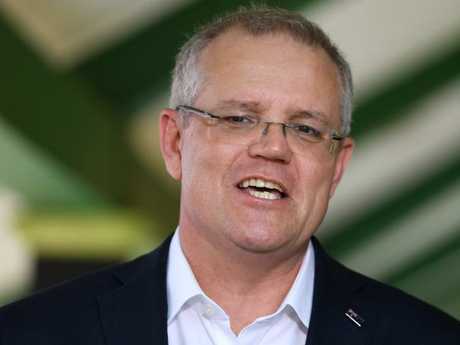 The twist comes after revelations by news.com.au that Mr Morrison's government is on "life support" after yet another prime-ministerial knifing left Australians disgusted. Senior cabinet sources told the paper Mr Morrison and his cronies "played off Dutton and Turnbull against each other" to generate a leadership crisis while Mr Morrison prepared to go in for the kill. They claimed he seized on unpopular tax cuts to damage former prime minister Mr Turnbull and deceive the Home Affairs Minister, Mr Dutton, over numbers while cunningly presenting himself as the "compromise" candidate. "Supporters for both Dutton and Turnbull say they believe it was actually Morrison's backers who secretly forced matters to a head, voting for Dutton in the first ballot to boost his numbers and generate a crisis for Turnbull, while intending all along for their man to prevail," journalist Karen Middleton wrote. "Only now have their key supporters realised what happened." Mr Turnbull had wanted to dump his plan to legislate tax cuts for Australia's largest companies, notably the big banks, ahead of last month's Longman by-election for fear it would damage the party's chances. 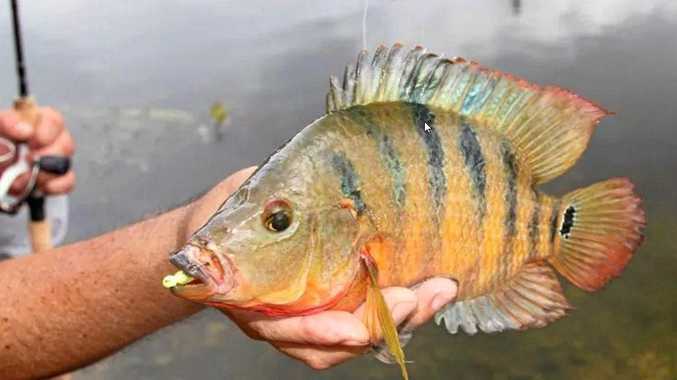 However, he was reportedly opposed by Mr Morrison and Finance Minister Mathias Cormann and "the poor showing in Longman became the catalyst for a leadership challenge". Mr Turnbull tried to outwit his rivals by calling a surprise leadership spill on Tuesday but it backfired on him when Mr Dutton stood for the position and secured 35 votes to the prime minister's 48. "It was a stunningly high vote for a challenger from what looked like a standing start, and a diabolic miscalculation for the incumbent prime minister," Middleton wrote. But government insiders now believe Mr Dutton's numbers were so high because of a secret plan to install Mr Morrison in the top job. "Although it was the actions of Dutton and then Turnbull that sparked the events of last week, sources in both camps have concluded that the outcome was likely engineered by Morrison's supporters from the beginning," Middleton said. After the first spill, Mr Turnbull refused to hold another party room meeting unless he received a petition with the signatures of 43 members on it. Once the meeting was called, members were then asked to vote on a spill motion, which saw 45 people supporting a vote on Mr Turnbull's leadership and 40 voting against. The former prime minister did not stand as a candidate, as he had promised to vacate the position if a spill motion was successful. Mr Morrison won the leadership with 45 votes against Mr Dutton on 40 votes. 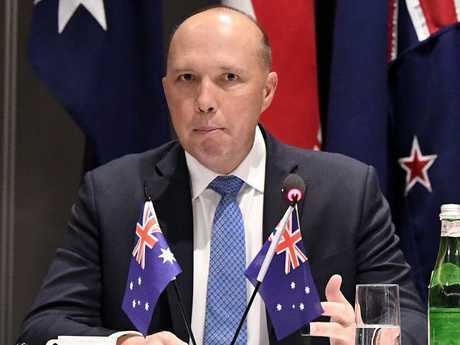 "One MP pointed to the five extra votes that were lodged in favour of the spill motion that were unaccounted for among Dutton's supporters," Middleton noted. "Turnbull's supporters and those who did not want another leadership ballot voted against it on Friday morning. They numbered 40, but with 45 in favour, they lost." A Newspoll conducted in the wake of the Liberal Party's civil war, which saw Mr Dutton challenge the leadership twice before Mr Morrison's success on the final stretch, showed voters were fed up. Support for the Coalition crashed to its lowest point in a decade, with a primary vote of just 33 per cent. Labor is lengths ahead in the two-party preferred stakes, leading 56 to 44. If this trend continues, the government would be wiped out at an election. "The overwhelming sense is that the coup attempt last week was the most ham-fisted attempt anyone can remember. It was very unprofessional and caused a lot of damage," a government source told news.com.au's Shannon Molloy on Saturday. "All of the carry-on by the Dutton camp about needing to do this to get the show back on the road, to restore the community's confidence in government, has not eventuated." 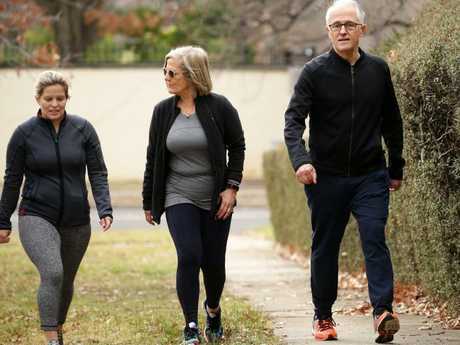 The Liberal Party will also struggle to hold the inner-Sydney seat of Wentworth, vacated by Mr Turnbull, with a poll showing Labor has a good chance of snatching it in a by-election. And the former prime minister's son has been doing his bit to ensure that outcome by soliciting donations for Wentworth Labor candidate Tim Murray. On Friday, Alex Turnbull retweeted Mr Murray with the message: "Best bang for the buck you'll get in political donations in your life. "Tight race, tight margin for government, big incremental effect whatever happens. If you want a federal election now this is the means by which to achieve it." Labor is also set to regain Julia Banks' seat in Victoria after the Liberal MP announced she would not contest at the next election, citing bullying and threatening behaviour by her colleagues and the opposition. "Julia Banks is the only person who picked up a seat for the government at the last election. If not for her, they would've had a minority government," a senior Canberra insider told news.com.au on Saturday. It's likely the dominoes will continue to fall, with former workplace minister Craig Laundy reportedly considering whether to recontest his marginal Sydney seat of Reid. 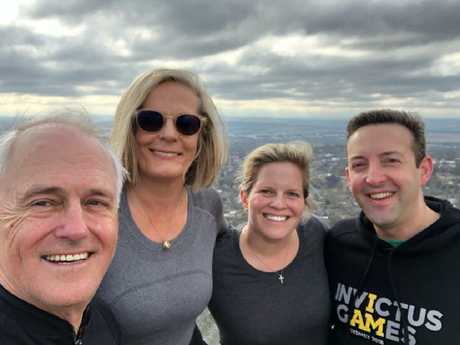 Mr Laundy, who was one of Mr Turnbull's key allies, has called on the Liberal Party to introduce official processes to deal with bullying and intimidation complaints in the wake of Ms Banks' claims. Other marginal government MPs may also bow out, given that their already precarious positions are now dire. "It begs the question, what was the point of it all?" the insider said.